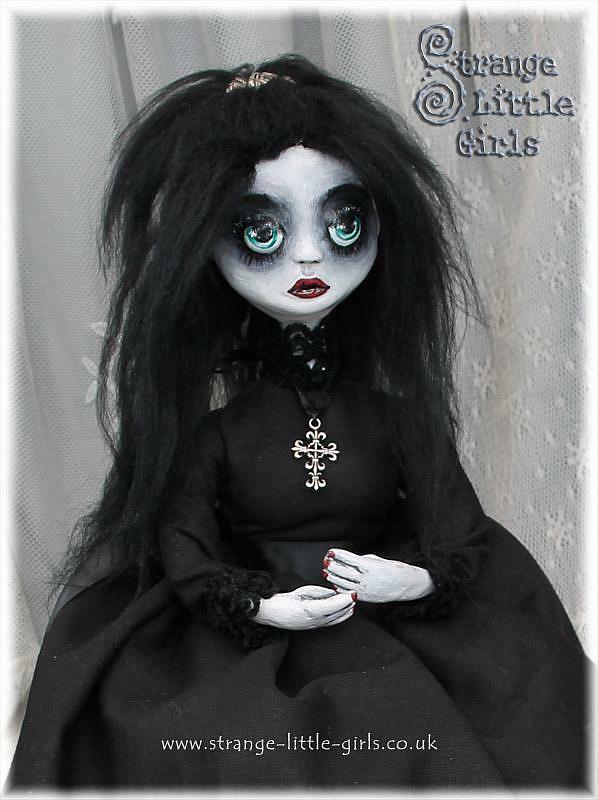 [Sold] This Gothic style clay art doll is completely hand sculpted from air drying clay and textiles over a wire armature. No moulds were used. 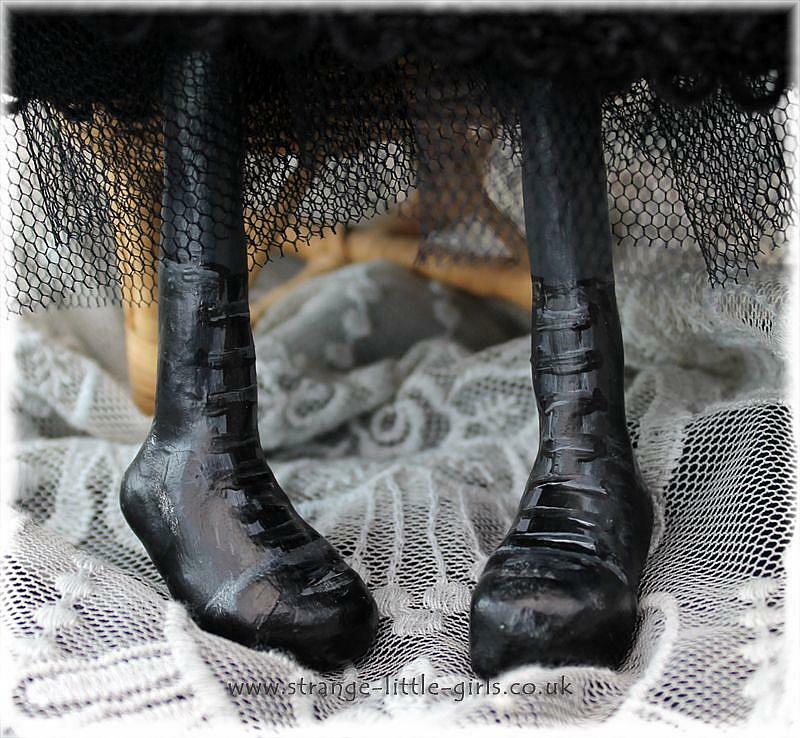 The clay head, hands and feet are hand painted in acrylics and sealed with a matte varnish. The eyes and lips have been given a coat of gloss varnish for a more lifelike sparkle.. 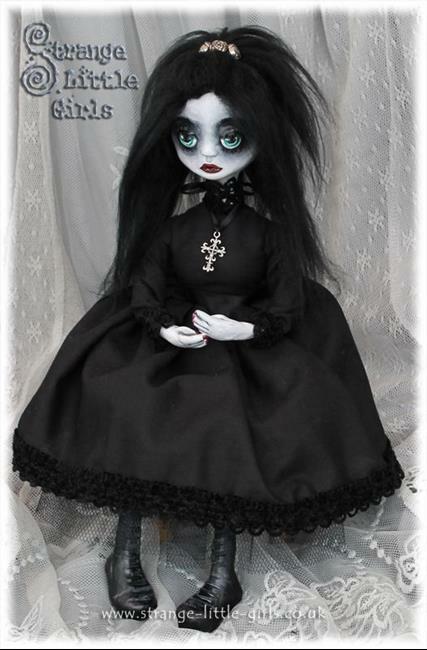 The hair is made from acrylic fibre, which is permanently fixed in place.